We visited in June 2011. 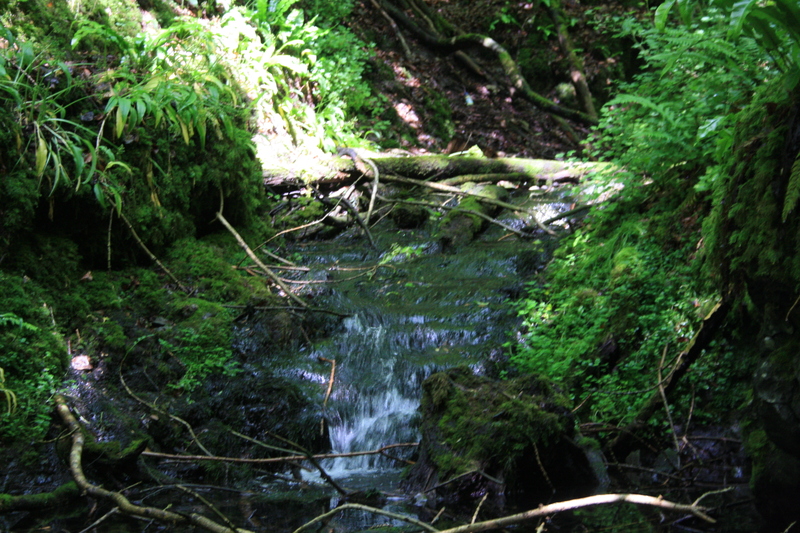 The site lies in a deep ravine, which requires a scramble down from the pathway running through Maesmynan wood. We found a considerable number of tree branches in the well and larger branches and old tree trunks lying up against the back wall of the well from which much of the water was supposed to flow, making it initially quite difficult to determine the precise sources of the water entering the well. Water does seem to enter from under the rock wall at the back of the well. Some reports refer to a cave or niche above the well in which at some time in the past an image of St Michael has been placed. 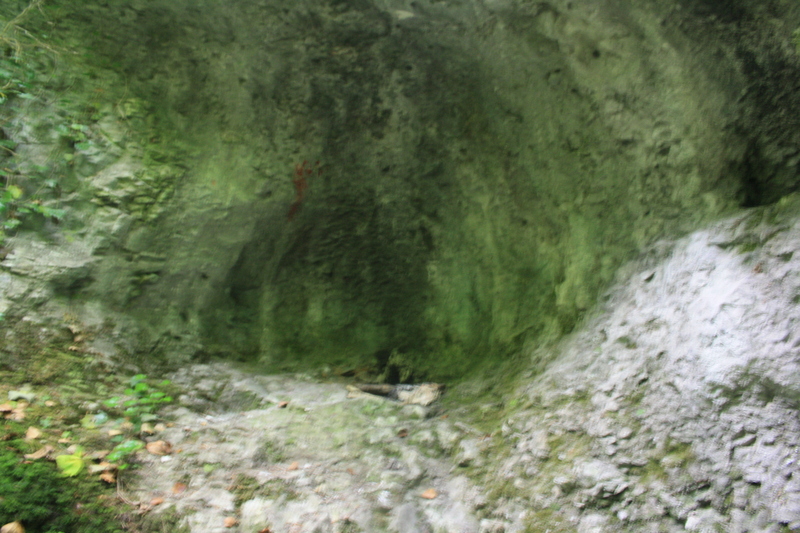 There is a small niche in the rock wall to the left of the well, and if you scramble up to the next level there is a larger cave, illustrated above. An Inventory of the Ancient Monuments in Wales and Monmouthshire. Vol 2 – Flintshire. Royal Commission on Ancient and Historical Monuments. 1912. The Documentation of Ffynnon Ddeier. Tristan Grey Hulse. Living Spring Journal. 2002. Also at Caerwys are Ffynnon Wyryd and Ffynnon Deg. The later, which I understand has now disappeared following the damming of the stream it lay beside to form a fish farm, was also known as Ffynnon Sarah, after the woman, reputed widely as a witch, who lived beside it and without whose assistance no cures sought at the well would be effective.